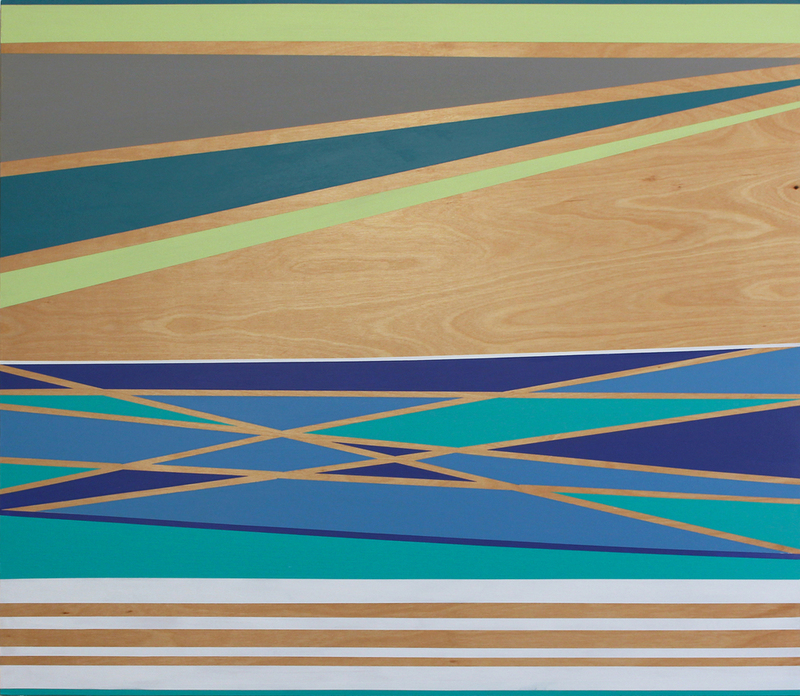 Cos Cob, CT, November 2014--The Drawing Room Art Gallery is pleased to announce its upcoming exhibition, Fluent: The Language of Paint, which runs November 15- January 24, 2015. The Drawing Room invites the greater public to attend the Opening Reception and meet the artists on Saturday, November 15, from 6-8 pm. This event is free and open to the public. The Drawing Room is located at 220 East Putnam Avenue, Cos Cob, CT.
Fluent highlights the work of five painters: Galen Cheney, (Middlesex, VT), Lori Glavin (Darien, CT), Justin Kim (Long Island City, NY), Michele Kishita (Philadelphia, PA) and Cameron Schmitz (Bernardston, MA), each of whom has developed their own contemporary approach to painting today. The exhibition presents different responses to the specific practice of painting and shows how these artists explore alternative ways of making a picture though the language of paint. Although all artists remain committed to a somewhat traditional use of materials to include oil or acrylic paint on paper, wood panel and canvas, each artist expresses the medium quite differently. The pure physicality and weight of Galen Cheney’s paintings are intrinsic to the process and content of her work. Drawn to abandoned city walls given over to graffiti, as well as the peeling frescoes of Pompeii and ancient cave paintings, Cheney’s work’s are a testament of time as well as the time that is required for such work. Cheney pushes and stretches the boundaries of painting to create a hybrid of abstraction and figuration combined with highly graphic elements referencing graffiti. Creating densely layered paintings, these works are boldly rich and records of their own making. beautiful and the common, and the surprising beauty that comes from the accumulation of data and debris that enters our lives. Justin Kim’s large scale mixed-media landscape paintings are a conglomeration of experiences and observations. Imagery is taken from multiple locations and sources and reconstituted together to create a plasticity of form and perception that mirrors his own experiences of being in the world. Drawing from the view from his New York studio, a wharf on the coast of Cape Cod, or the desert valley in California, Kim synthesizes elements from each of these scenes to create contemporary and unconventional pictures. Color choices that range from natural to synthetic provide both plausible and surprising moments to occur when reading through the pictorial space. Each painting holds its viewer into extended moments of both belief and discovery. Michele Kishita’s elegant works on wood panel are delightful paintings that dance and play with the natural whorl of the grain visible in the wood itself. Kishita’s choice of medium is indicative of the message she looks to convey. She’s inspired by how nature and man-made forms interact and her careful orchestration of color, composition and shapes display this dialogue. Organic forms suggesting water collide with carefully composed, rigid structures. Often incorporating acrylic paint with gold or silver leaf, nails and wood further illustrates this idea, delineating the truly fluid resonances between what appear to be disparate elements. Cameron Schmitz is exhibiting her newest series of large format oil paintings on canvas. Luscious brush strokes and structural marks made with the palette knife give way to poetic painterly compositions, both abstract and representational in nature. Referencing the experience of becoming a new mother as her strongest source of inspiration for this work, Schmitz expresses the experience of shift, change and flux of life though oil paint in sensitive images that feel intimate and deeply felt.